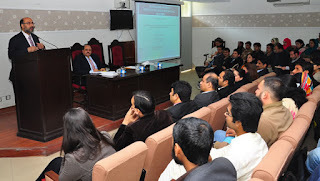 A lecture was organized under the SPIR Lecture Series on November 26, 2015 at School of Politics and International Relations. Dr. Hassan Habbas from National Defense University, Washington D.C. gave a lecture on “Are Taliban History: How and why they survived for over two decades in Afghanistan and Pakistan.” Director SPIR, Dr. Zafar Nawaz Jaspal formally started the session by the welcome address. 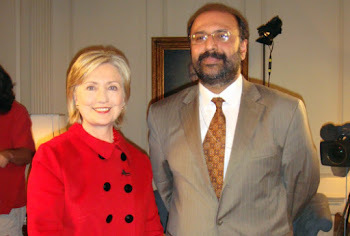 Dr. Hassan Abbas is a Pakistani-American academic in the field of South Asian and Middle Eastern studies. 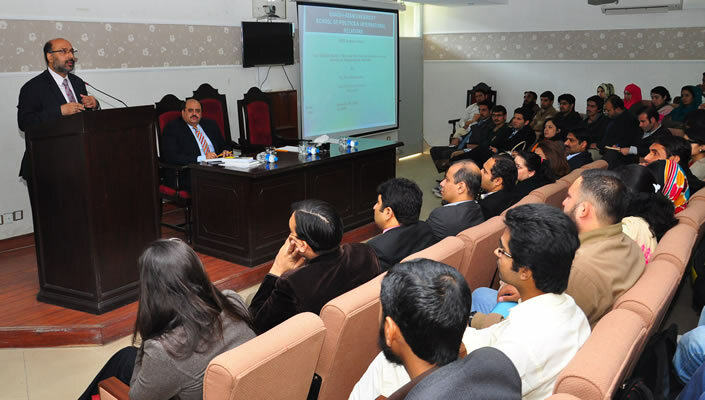 His research focuses on security issues pertaining to governance, law enforcement and counterterrorism in these regions. Dr. Abbas was a civil servant in Pakistan. Dr. Abbas raised a major concern about the reasons of terrorism and the inability of Pakistan and Afghanistan to curb its prevailing influence. He highlighted five major concerns for Pakistan and Afghanistan as well. According to him the prevailing influence of Taliban in Afghanistan is due to its inability of national building through the soft power projection and functioning of state through flawed criminal justice system. The ethnic tensions in the political hierarchy of country cause economic and political imbalance and in history Afghanistan remains a rentier state which remains the main cause of major powers’ intrusion inside Afghanistan. 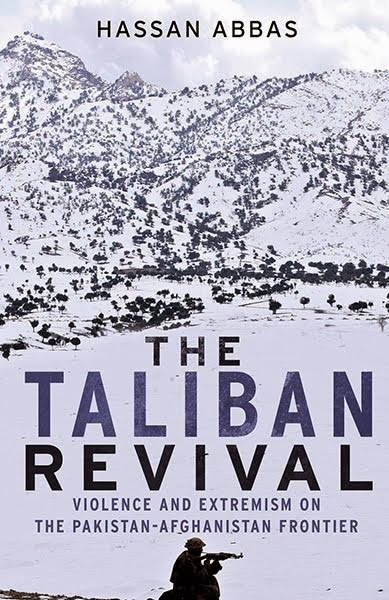 Tahreek-Taliban-Pakistan is a quite influential non-state actor in Pakistan and its influence is prevailing due to the internal political and constitutional vacuum between federal regime and FATA. The tribal disconnect inside FATA between the tribes creates space for non-state actors. He highlighted the essential crime and terror nexus in Pakistan. Most of the sprinter groups associated with non-state actors involved in the terror activities are not to be merged with terrorist, instead of criminals. Dr. Abbas concluded his presentation by emphasizing his note about mainstreaming FATA, through constitutional reforms and institutional buildup. After the lecture, a healthy question answer session was held. The TTP is not directly affiliated with the Afghan Taliban movement led by Akhtar Mansour, with both groups differing greatly in their histories, strategic goals and interests although they are both predominantly Pashtun.